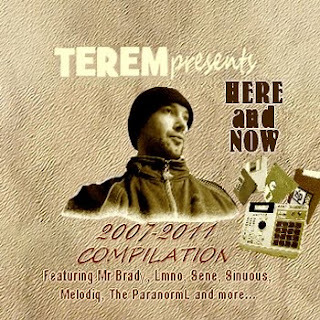 Here is a free download from French beatmaker Terem called Here and Now. The free project promotes music that Terem likes and music that Terem has created over a four year period (2007-2011). The project features Mr Brady, Sha Dula, LMNO, Johaz, Just Brea, Sene, Prefyx, Melodiq, Kohndo, The ParanormL, Adam Payne, Braille of Lightheaded, Sinuous and Aarophat. Click the download now link below to listen and download the project.